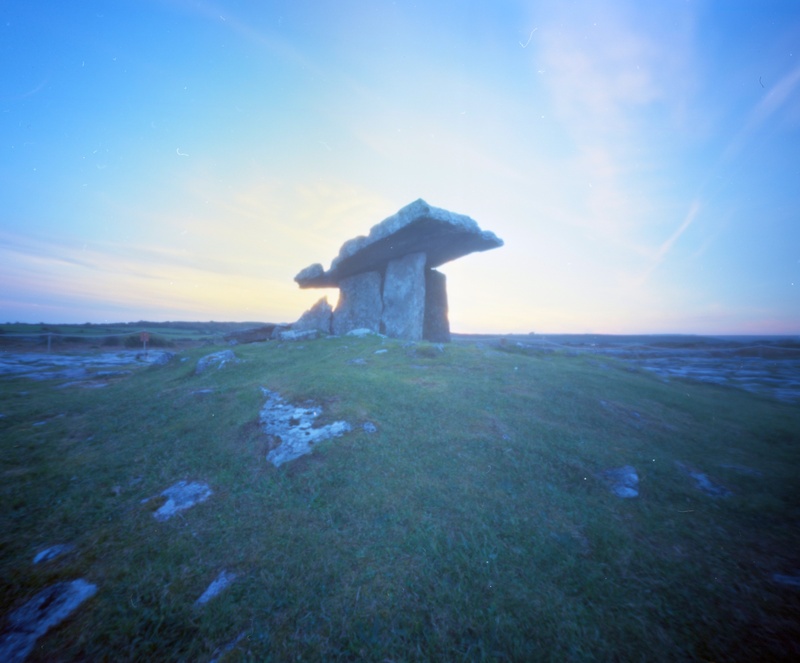 Just a short drive to the south of the town of Ballyvaughan in Co Clare sits the magnificent Poulnabrone portal tomb. Recent carbon dating of the area suggest that it may have been built 3800BC. The Neolithic tomb suffered some damage in the mid-eighties and while repairs were made they took the opportunity to excavate the site and they discovered the remains of 22 adults, 6 children and a baby. 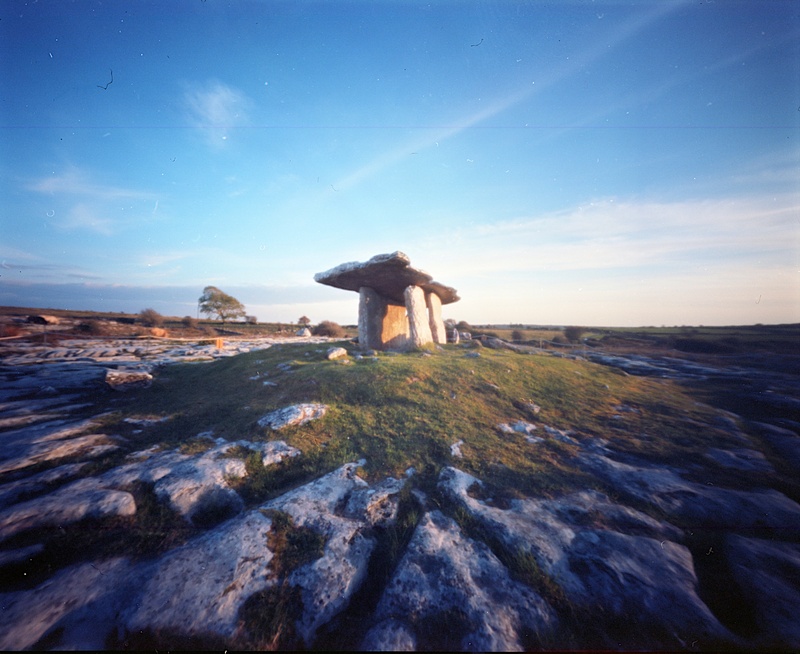 It’s not possible to understand fully what the purpose was of the portal tomb but it has dominated the landscape of the Burren for 1000’s of years. An it remains remarkable scene to happen upon as you drive around the Burren. I was lucky enough to sit and watch the sunset on the tomb. I have visited this site many times and this was the only time I ever saw it in sunlight. 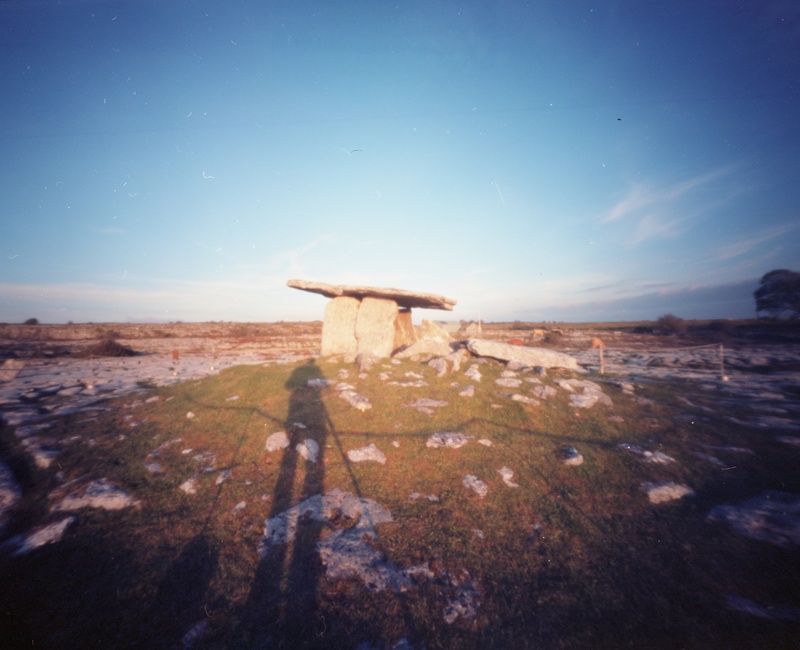 I was there last May and am amazed at how beautiful it looks captured through a pinhole. Wonderful work!